Yesterday was May Day, which meant that groups of left-leaning demonstrators took to the streets across the world in support of workers’ rights. 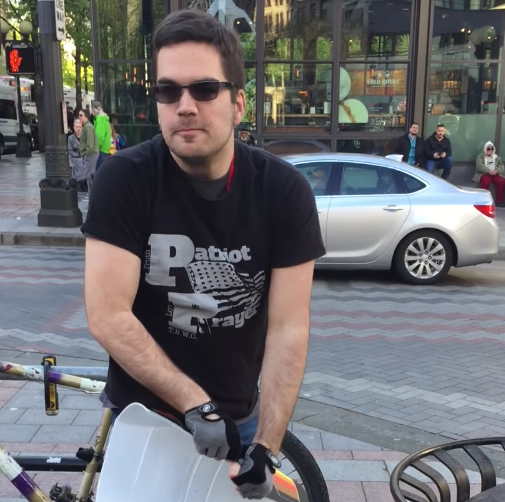 In Seattle, according to local media, the May Day march attracted hundreds of people, including a faction of “Proud Boys,” the far-right men’s group that Gavin McInnes founded after he was triggered by a song from a children’s movie. Despite the conflicting interests and a heavy riot police presence, the demonstrations were reportedly peaceful, and only one person was arrested, for throwing a rock at an Amazon building. The man has since disputed that he is a Proud Boy on social media, for whatever that’s worth. Either way, his side is still winning the real fight, and those of us who oppose the big proud boy in the White House still have to settle for watching videos like this for some momentary sensation approaching the satisfaction of victory. It’s sad, but we’ll take our kicks where we can get them. Watch it below, and feel good for about a minute and a half.